Rental Property Maintenance Checklist | Real Property Management East Valley in Mesa AZ. The trusted leader for professional property management services. Performing regular maintenance on your rental property can go a long way to prevent unplanned repair costs that can take a chunk out of your profits, and keep tenants happy. As things wind down after summer months, it is a perfect time to evaluate your property, and take care of any needed repairs or improvements. At Real Property Management East Valley, we help you our clients keep their properties maintained, modernized, and profitable. 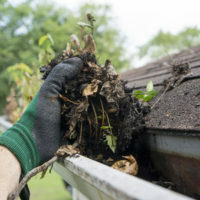 Rain Gutters: Clean out the leaves and debris that has accumulated inside the gutters. Check to see if water drains properly and doesn’t pool. Pooling can cause damage to foundations, driveways, and walkways. Check the support brackets to make sure they are securely in place. Siding & Paint: Check the home siding for any rot, breaks, or loose siding, buckling. If water gets behind the siding, it will lead to major repairs later on. Check the paint for fading or flaking. Windows: Check windows and screens for any damage. Sprinkler Systems: Check lines and inspect for damage. Swimming Pools: Have swimming pools cleaned & equipment inspected or tested. HVAC Systems: Replace filters in the home or furnace, and have HVAC equipment inspected and cleaned if needed. Plumbing: Check for any links around the plumbing on sinks and toilets. Check crawl spaces for leaks or standing water. Attic Ventilation: Clear out any plants or debris near vents. Check for bird and rodents or any other unwanted guests. Landscape and Yardwork: Fertilize and trim lawn, trees, and shrubs to encourage healthy growth. Check for tree limbs that are dangerously close to power lines or the roof of your house. By adding these vital maintenance items to your property management plan, you can not only save time but also avoid more costly repairs down the road. Our expert property managers at Real Property Management East Valley can complete a comprehensive evaluation of each of your properties to ensure that improvements, repairs, and maintenance are performed when needed. Please give us a call at 480-981-7000 to schedule a free consultation!